Here are some popping lip colors for the low! When I was younger, I never was into makeup. Call me a tomboy, I did just fine with some lipgloss and mascara. Fast forward to 26, when I stumbled into Sephora, and asked to try on lipstick for the first time. When I tell you what a game changer that was! Now when I go out, I feel incomplete without masking my full lips in a matte or liquid lipstick. My vanity is littered with various reds and purples from brands like Tarte, Kat von D, and Bobbi Brown. Still, I wanted more. Let’s face it: being a woman is expensive! Makeup shouldn’t have to be, because we all want to look our very best. So what’s a girl to do? Enter in: ColourPop. I remember seeing adds for ColourPop, and definitely feeling skeptical. How could quality lipstick be sold for only 6$? Impossible. Nevertheless, I decided to take a risk, and order my first lipstick. I was thrilled! Not only is the finish flawless, but the collections cater to a variety of skintones. I’m always blindly selecting whatever looks good, and appreciated the breakdown of tones and textures on the site. In addition, media personalities like Karrueche Tran, CoffebreakwithDani, and Ellarie have a hand in creating new and refreshing shades just for us. I ordered my first Colourpops lipsticks months ago, and haven’t looked back since. Price: Nobody has time to buy $24 lipsticks, I have bills. I still wanna look cute though! With this brand I can look amazing without breaking the bank every month. Color: The colors are rich, the finish smooth, and it doesn’t dry out your lips. The color lasts all night long, no re-application needed. Customer Service: products deliver fast, with no additional tax. Lipsticks are legit only 6 bucks. Whoop whoop! They’re community influenced: The company really thrives off of their consumers’ feedback. It makes the buying experience feel way more personalized, and I know that I’m getting shades that represent my own style. Don’t believe me? Check it out below! Now let’s talk another cheap favorite, NYX brand. What’s so interesting about NYX is I initially thought I was the only one who had heard of the brand. I also believed the it was “lame” to buy pharmacy makeup products. But I’m so glad to know that I was wrong! My 18-year old sister is the one who actually brought me up to speed. She explained that NYX had the best makeup brushes/ lipstick/powders for the low. I had dabbled here and there with NYX lipstick, but really began to do my research. First off, who knew that NYX been around for almost 20 years?! Say what! NYX was created initially to bridge the gap between high end stores and drugstores. 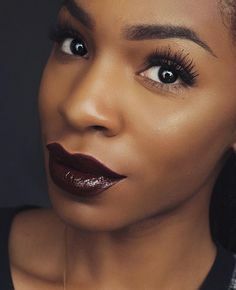 Which is dope, because NYX is super accessible. I’m talking about, being sold in beauty supply stores, drugstores, in addition to having their own makeup stores around the country! Shade game official: Literally SO many shades! Matte, liquid, gel, whatever you want! A girl loves having options. Access. NYX is everywhere! All the drugstores, beauty supply stores, etc. Price. Lipsticks for under $6?! Cut it out! In addition to some fun pencils, glosses, and eyeliners, all for under $10. Ya can’t lose! Check out lippies from both companies and flourish for the low!